Climbing Frames New Zealand was established in 2010 with the aim to bringing the best value outdoor play equipment to across both the north and south of New Zealand. We manufacture our own play systems, cubbies and swing sets, and we work with the worlds largest play equipment manufacturers. All enabling us to bring you the best products, at the most competitive prices. Many competitors try to compete with us by removing features, or using inferior wood. Our popularity prevails and is proven with a huge number of genuine customer reviews you can see in our customer gallery. 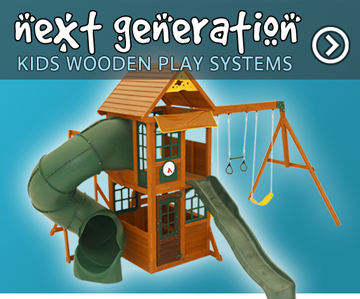 Our wooden climbing frames have proved so popular we have had to also launch our New Zealand website. In addition to our websites and warehouses in Europe, including UK, Ireland and France. For kids their garden play equipment is all about fun. They want great slides, swings, and challenges like climbing walls and monkey bars. You'll find these, plus many other features on the majority of our climbing frames. Our products are unique in that they are manufactured from premium cedar wood. Many competitors try to compete using cheaper wood, or by removing features. We guarantee you'll not find another climbing frame that looks as good or contains as many features as our outdoor play equipment. Our climbing frames to be easier to build than most because we pre-cut, pre-drill and pre-stain all our wood, so all you need is DIY tools to build your perfect garden play equipment. Plus, our Next Generation climbing frames are pre-panelised, so are up to 30% faster to build than traditional climbing frame designs! Our climbing frames are manufactured from premium cedar wood. They are naturally resistant to rot and insect infestation, so we're happy to give you a 5 or 10 year wood warranty. Our kids climbing frames are designed for both younger and older children. Our kids climbing frame range is suitable for all children from 3-12 years. 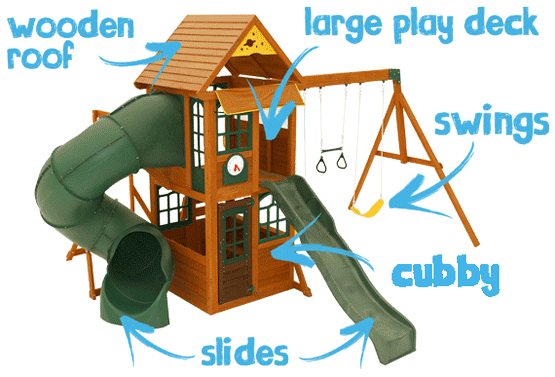 Many of our playsets include swings, slides, monkey bars and integrated cubbies as standard. Our climbing frames designed to maximise as much fun as possible for all children. Including simple details such as window frames serving counters and confidence boosting swings. 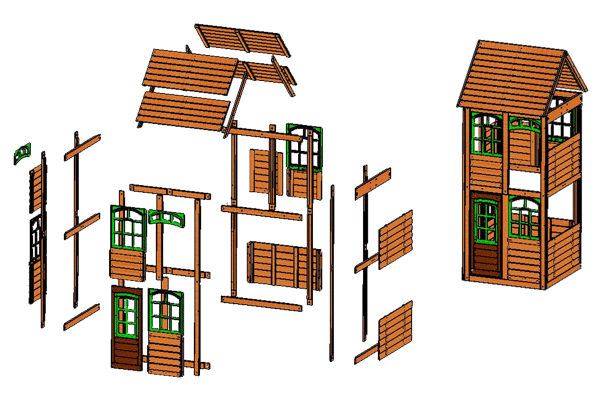 Our garden climbing frames are designed for easy DIY home build. All our playsets come flat packed and sealed in tough cardboard boxes. This ensures everything is protected and stays together during delivery. All wood is pre-cut to length, pre-stained, and pre-drilled so you just need to follow the illustrated manual. Which tells you where to bolt and screw together with the included hardware. Our Next Generation Climbing Frames have pre-assembled panels. Saving you more time and hassle when it comes to assembling the playset in your garden. Only a few screws needed to affix each wall panel. Manufactured from premium cedar our wooden play systems also utilise advanced design systems. This ensures the structure area stable and as strong as possible. With all our cedar products you will receive either a 5 or 10-year wood warranty. This provides children with many happy years of safely playing outside in your garden. All our products are designed and manufactured according to the latest International and European safety directives and regulations.